Riding through rolling hills, exploring the beautiful farmlands of the Hudson Valley was definitely a wonderful way to spend a sunny summer Sunday. 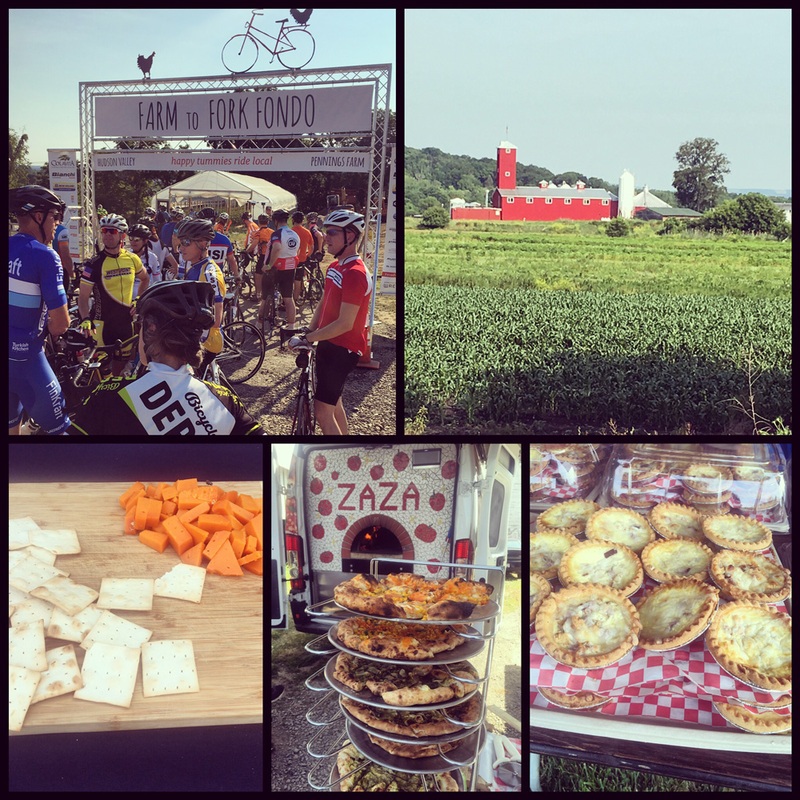 The beautiful landscapes, fun farm rest stops and friendly farmers made this a wonderful ride to participate in. 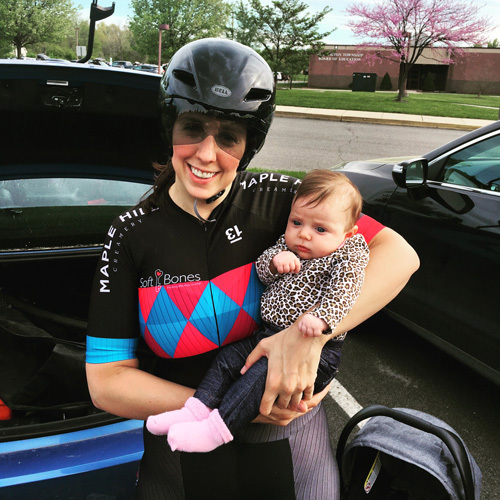 The ride rolled out of Pennings Farm in Warwick, New York, lead out by several women from the professional and local Colavita teams. Immediately following the rollout, you found yourself riding on quiet, picturesque and rolling country roads. I did stop several times throughout the ride just to enjoy the vistas of rich black dirt and farmland expanse. The ride started out mostly on fun and rolling terrain, but as the miles went on the challenge increased. The eighty-seven-mile gran fondo contained five timed climbing segments that added some fun competition to the ride. I didn’t have the time on this particular sunny summer Sunday to do the full eighty-seven-mile route, but the timed climbs I did endure were long and challenging. 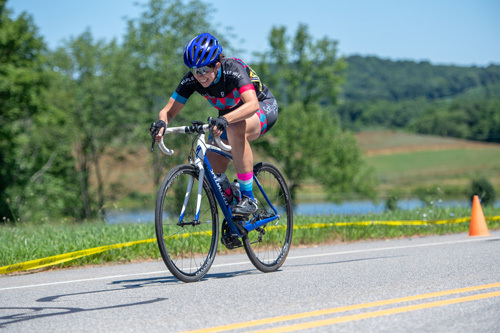 By not doing the eighty-seven-mile gran fondo, I missed out on the toughest climb of the ride, however I did hear tales of its difficulty and of pain and suffering from other riders. Around mile seventy-six, they encountered “the wall.” With already tired legs, this climb that averaged around 10-11% and hit grades of close to 17% for almost a mile was a killer. It was one of those climbs where you just have to just put it in the easiest gear and, by sheer will, force yourself to keep pulling the pedals around or else you will just topple over. The routes were definitely challenging but it was the farms and locally sourced foods that made this ride a truly unique and special one. The people working at the farm rest stops seemed very enthusiastic and excited to have the cyclists stop by and chat with them and sample foods that they had grown, harvested or made on their own property. In this day and age when most of us just run to the local supermarket to buy all of our food, it was interesting to meet people who run these small farms and, still live off the land for the most part. They take pride in the crops they grow, the dairy products they produce and the foods they make from these home grown crops. Some of the sights and rest stop treats along the way. The non-farmer volunteers were all very pleasant and helpful along the way and the route was well marked. I am not someone who normally puts routes into my GPS and at a few points I found myself riding alone, but I never felt lost as I was always able to see the markings on the road pointing me in the right direction. I would definitely recommend this ride and would love to ride it again next year and face the challenge of the full gran fondo. 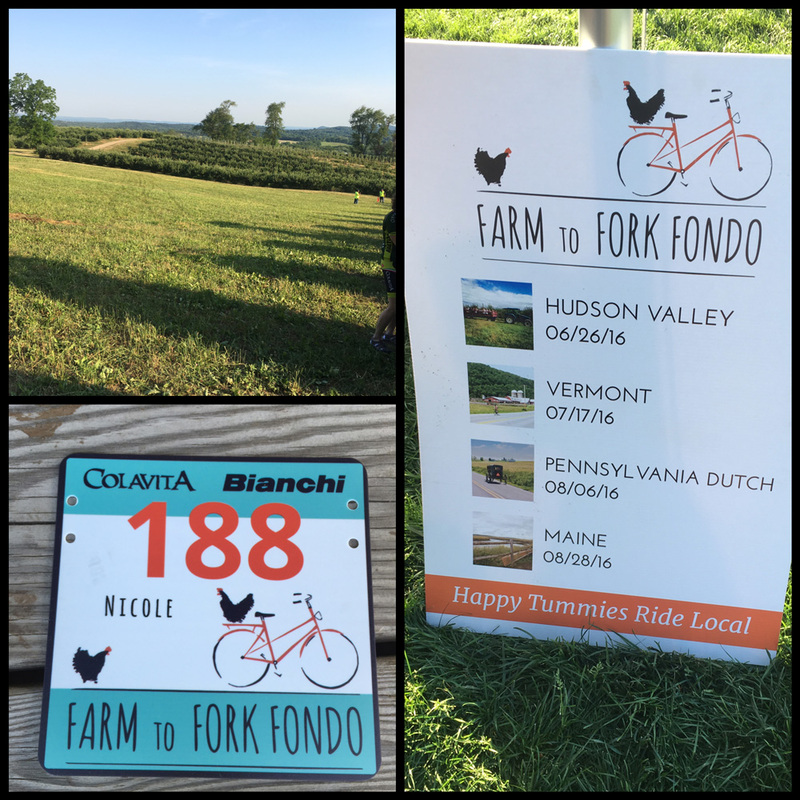 Wrenegade sports has several other Farm to Fork Fondos coming up this summer, in Pennsylvania, Maine and Vermont. 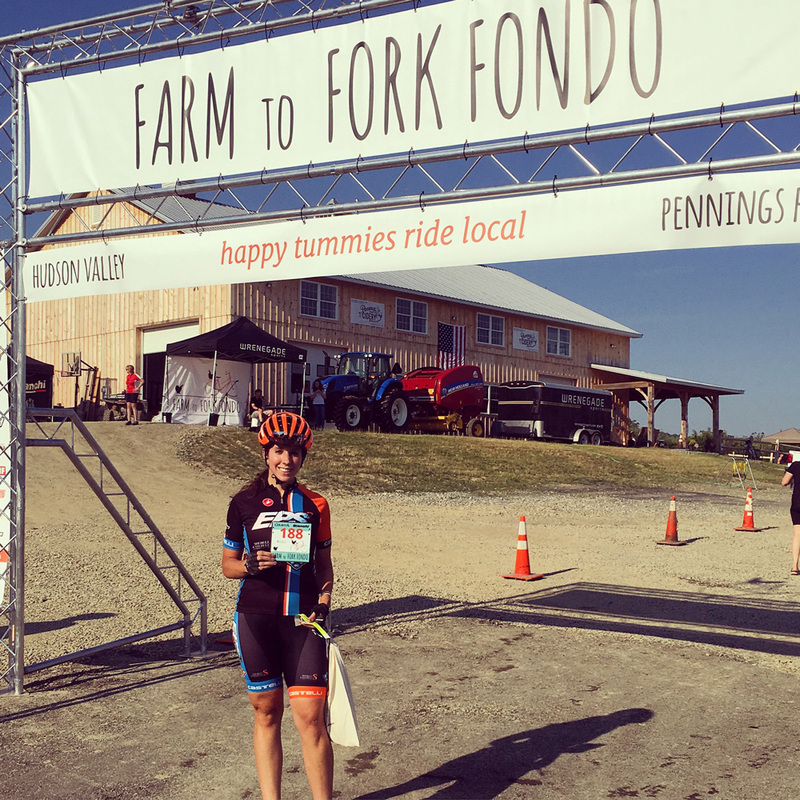 If you are looking for a different, fun, challenging, and well organized ride I would highly recommend signing up for one of these fondos.